This is the first of a two-part snapshot of Athens’ startup and scaleup scene. Look out next week for100mentors, Hellas Direct and Pollfish. “All the VCs come to Greece on holiday in their helicopter or on their yacht. But when you ask them if they invest in the country, they say ‘no’,” says Emilios Markou, cofounder of online insurance challenger and scaleup Hellas Direct. Undoubtedly the Greek debt crisis of the last decade, with a 26% reduction in GDP in just five years, the repeated bailouts and youth unemployment reaching 60% in 2013 – all played out in worldwide headlines – has had a major impact on investor sentiment. But the realities of the last decade has brought about change. Greece feels on the move. The third quarter GDP growth rate was 1.8%, beating the average across the Euro area. There are cranes building in Athens’ northern suburbs. There’s a justifiable swagger to many of its citizens once more. “The financial crisis put people out of their comfort zone and pushed them into exploring different industries and taking more risks,” observes Panos Moutafis, Greek founder of Houston-based face-recognition company Zenus. Most significantly, the €300 million EquiFund was launched earlier this year by the European Investment Fund and the Greek state, attracting additional investment from both public and private Greek companies. Atomico’s The State of European Tech 2018, out this week, puts total capital investment at €248 million since 2013, placing Greece 23rd in Europe for attracting funds. Of the 143 Greek startups funded between 2010 and 2017, there have been 14 exits, the two most significant being BugSense, acquired by U.S. company Splunk in 2013, and Taxibeat acquired by Daimler in 2017, according to Marathon Venture Capital. Workable, Resin.io and Pollfish are a number of companies that started in Greece between 2012-2013, attracted investment and are now headquartered in Boston, Seattle and New York. A combination of VC and angel funds are also identifying and investing in startups founded or cofounded by Greeks who left during the crisis to set up business abroad, such as Landoop, Causaly and Norbloc. Underpinning the growth in numbers is a vibrant culture of networking, from the original monthly Open Coffee meetings, founded by George Tziralis and still taking place 11 years later, to the almost daily calendar of events at The Cube Athens, to the Greek in Tech evenings across Europe and U.S for the diaspora. Atmel, a semiconductor company founded by George Perlagos in 1984, a first-generation Greek immigrant, was acquired by Microchip in 2016. Digalakis Vassilis worked with Nuance Communications in the mid-1990s, an early partner with Apple on what became Siri. But the narrative has certainly begun to change. “It’s the buzzword even for parties of both left or right – and yet we have no tangible results – startups do not provide taxes. But they do provide jobs, hope and meaningful employment,” says Papadopoulos. And disruption. Take Hellas Direct. Where there were once 34 banks there are now four. But there are still 42 insurance companies. “The regulator is pleased to see challengers coming into the market to wake up areas of the economy and take 20% to 30% of the market,” says Alexis Pantazis, cofounder of Hellas Direct with Markou. The issues for further growth are not unique to Athens. Greece has the same problems as any other country such as Italy, rather than London, San Francisco and New York: disconnection to big urban areas, access to money and corporate expertise. “What is missing from Greece is the next generation of startup founders. That is people with successful exits who will re-invest their proceeds. Entrepreneurs who failed and are ready to pass on their experience. But we will get there in time,” adds Moutafis. There’s also one of scale. “If you come here to Greece to be the next unicorn, then you are wasting your time, but if you want to create a €300-€400 million company, then yes,” says Markou. “Our core proposition is not investing in Greece but rather in Greeks,” says Panos Papadopoulos, a partner in Marathon which invests in Greeks who have moved abroad and launched a startup. “In the 1940s and 1950s, Greeks emigrated but never came back. But today, everyone is super connected so it is possible to find almost everyone through networking making it easier to harvest them,” continues Panos. Papadopoulos founded Marathon with partner George Tziralis last year. 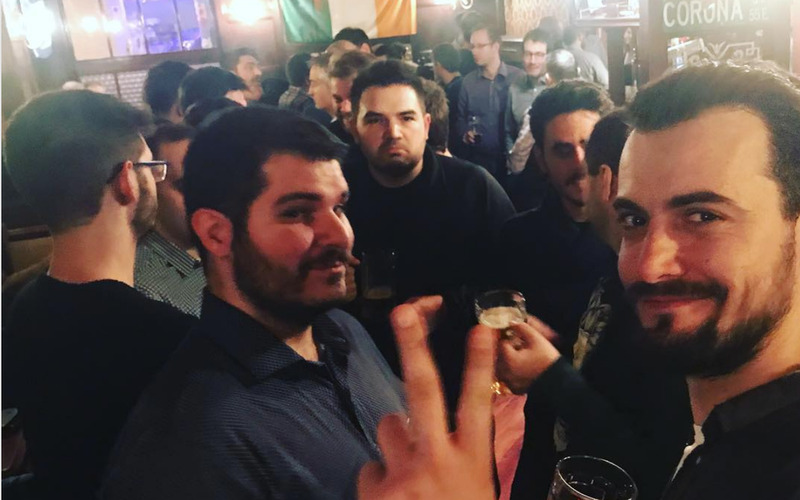 They both host “Greeks in Tech” evenings across Europe and U.S where the Greek startup founders get on stage to tell their story followed by music. Papadopoulos started out as a developer, then turned entrepreneur, launching his first startup in 2007. But it was the launch in 2011 of BugSense, with a $100K investment to create a mobile performance app, that marked him out. After BugSense was sold to U.S. company Splunk, Papadopoulos spent three years with the company on the West Coast, then an angel investor before cofounding Marathon. Past investments by both partners include startups that have had high profile exits and/or relocated to headquarter in the U.S. such as Taxibeat, Workable, Resin.io, Transifex and Pollfish. Marathon, along with VentureFriends, is one of two VCs backed by EquiFund focusing on early-stage startups. It’s made eight investments in startups located outside Greece but founded, or cofounded, by a Greek. There’s data operations Causaly, for example, founded by Yiannis Kiachiopoulos, a Greek, and Artur Saudabayev, a Kazakh, London-based but with a team also in Athens. And fintech Norbloc cofounded by Astyanax Kanakakis, another Greek, and Vitalii Demianets, a Ukrainian, with teams in Sweden and Athens. As early-stage investors, Marathon focuses startup founders on their next raise, even presenting its founders with CVs of Greeks with whom the startups can scale. One of the criteria for the EquiFund is that 50% of the money has to be invested in Greece on local expenses or wages. Backers: EquiFund, (European Investment Fund and Greek state) and a broad private investor base from various sectors. Target for two years out: Hopefully we will have 15-16 investments where four companies will have raised a good Series A and a couple a Series B. …and five years out: We hope to have our first exits. Favourite investment: That would be London-based Landoop, an inter-company data collaboration platform. They have a no-nonsense approach to sales that helped to get the product into several Fortune 500 customers. Cofounders Maria Calafatis and Stavros Messinis arrived in Exarcheia in 2012, just as Greece’s economic crisis was worsening. 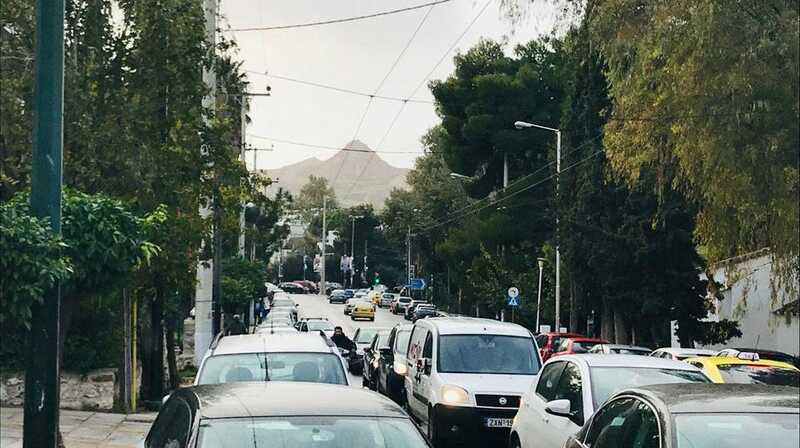 The risk was not just that they had taken on the rent of a multi-storey building but that the central Athens neighbourhood was then a byword for riots, anarchists and drug dealing. They opened with a party, inviting the local community, to show they were in for the long run. Six years later, they are still there and the neighbourhood is slowly changing with coffee shops and tourist tours of the graffiti. To describe The Cube Athens as co-working space and incubator would technically be correct. It does rent out spaces by the day or the month and some of Greece’s startup successes, such TaxiBeat and BugSense, did start out in The Cube. But the description would not quite do it justice as it is also a venue for lectures, discussions, meetups, socials events, exhibitions (AthensMakerFaire and RobotexGreece), hackathons and the mentorship of Calafatis and her cofounder Messinis. In an era when too many startup ideas are funded because of style rather than substance and when too many founders are seeking funding before market fit, it is refreshing to hear Calafatis’ focus on the basics. The Cube Athens has also launched CampusBus, a two-day training programme for refugees, originally in a bus parked in refugee camps or a central city square, taking place in 17 of a planned 31 Greek cities. Many of the refugees have fled countries with good qualifications and experience. The training helps them to understand how they can use online platforms such as Upwork and Freelancer to earn money and not depend on complex work permits to do so. A 1000 refugees will go through the programme between October and January, with 609 having completed it already. Fail fast, market fit, social impact: Calafatis and Messinis are not just mentors to startups in what they say but also in what they do. “If it was easy, everyone would do it. That it’s hard, makes it fun,” says Calafatis. Founded: We founded it in Spring 2012, the toughest time to start any business in Greece with Summer just around the corner. Growth: We moved from 100 sq.m. to 400 sq.m. in Syntagma Square to 1700 sq.m. where we are now. 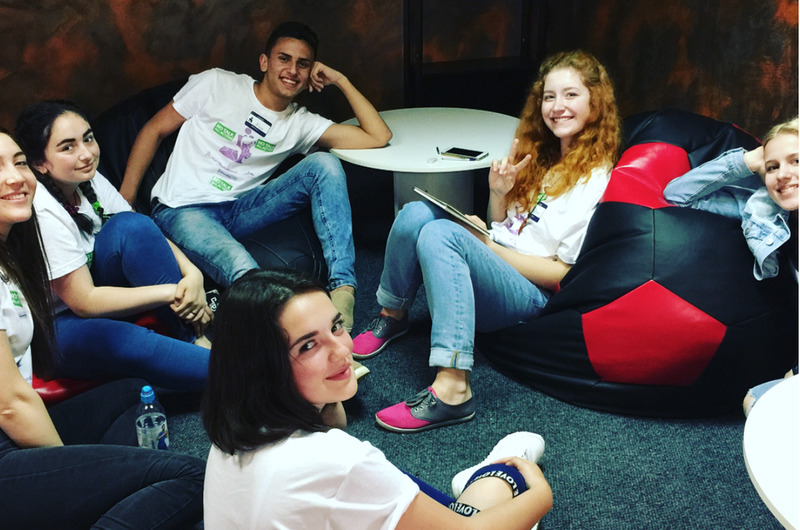 How many startups have been working in The Cube Athens:From TaxiBeat, to BugSense, to Resin.io, to Nannuka, we have had the pleasure and privilege of working with many local talents. How much to rent a space: Memberships at €15 per day to €200 per month with all services included. Favourite event in The Cube Athens: There are so many but I would say initiatives coming from today’s youth and talent putting together anything from a hackathon to a robotic/make competition. Favourite coffee shop in Exarcheia: I cake You. It has brought a huge change and upgrade to the neighbourhood with a friendly atmosphere and great team running it.